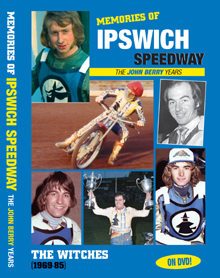 THIS double-disc DVD set is in honour of the famous CRADLEY HEATHENS, a speedway club that rose from humble beginnings as a Third Division outfit in 1947 to become the greatest force in British speedway by the early 80s. After a brief historical overview of their rags to riches success, we meet the superstars and many other heroes who wore the green-and-white and graced the acclaimed Dudley Wood track with pride and distinction. 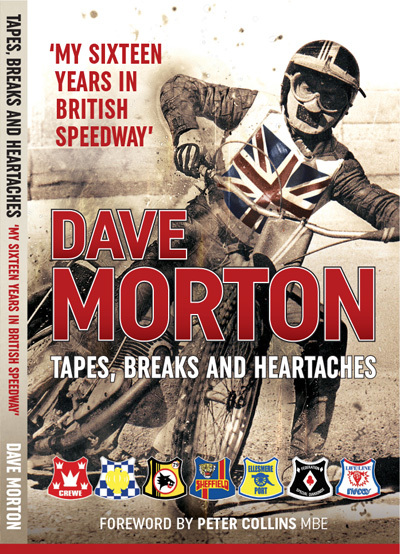 Enjoy breathtaking non-stop action featuring all the great riders doing thrilling battle against Black Country arch-rivals Wolverhampton, plus Coventry and many others from 1979 until Heathens' sad demise at the end of the 1995 season. 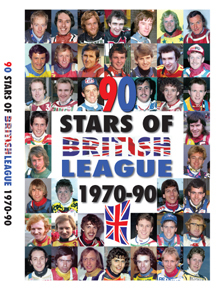 *Featuring 120+ races, including the last-ever four laps at Cradley Heath. 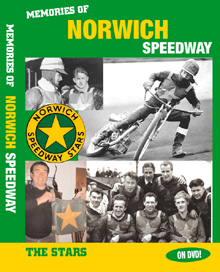 * Race action featuring: IVOR BROWN, BRUCE CRIBB, HOWARD COLE, JOHN BOULGER, MALCOLM CORRADINE, DAVE YOUNGHUSBAND, DAVE PERKS, BRUCE PENHALL, KRISTIAN PRAESTBRO, ERIK GUNDERSEN, PHIL COLLINS, ALAN GRAHAME, ILA TEROMAA, JOHN HACK, DAVID SHIELDS, BENT RASMUSSEN, PETER RAVN, JAN O. PEDERSEN, SIMON WIGG, LANCE KING, STEPHEN COLLINS, SIMON CROSS, PAUL FRY, DEAN BARKER, DAVID WALSH, GREG HANCOCK, BILLY HAMILL, MARK ROBINSON, WAYNE GARRATT, SCOTT SMITH, GERT HANDBERG, ANDY GRAHAME, ANDY PHILLIPS, MORTEN ANDERSEN, PETER NAHLIN, JONATHAN FORSGREN, JOHN WILSON and STEVE KNOTT. * Heathens racing at Dudley Wood and away at: Coventry, Wolverhampton, Belle Vue (Hyde Road & Kirky Lane), Leicester, King's Lynn, Halifax, Poole, Reading, Ipswich, Wimbledon, Arena-Essex, Eastbourne, Peterborough, Middlesbrough, Rye House and Exeter. * Rare, previously unseen colour 8mm cine footage. 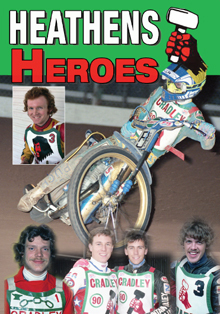 * Contemporary interviews with the club's five individual World Champions: BRUCE PENHALL, ERIK GUNDERSEN, JAN O. PEDERSEN, GREG HANCOCK and BILLY HAMILL, plus IVOR BROWN, ALAN GRAHAME, SIMON CROSS, GERT HANDBERG, SCOTT SMITH, ANDY GRAHAME, WAYNE GARRATT, MORTEN ANDERSEN and PETER NAHLIN. * Contemporary interviews with promoters DAN McCORMICK, PETER ADAMS and COLIN PRATT. * Running time: Four hours. Post: Send cheque/postal order (payable to Retro Speedway) for £16 to: Retro Speedway (Heathens Heroes DVD), 9 Nursery Close, Glossop, SK13 8PQ.